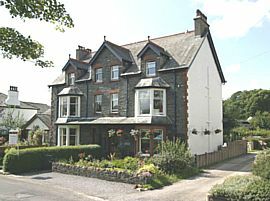 Hazelmere is a friendly, traditional Lakeland guest house which has been completely renovated with full double glazing and central heating. All rooms are tastefully decorated and comfortably furnished to provide guests with high quality accommodation. The owners, Andy & Lynne Jones, can offer plenty of advice on walking, touring or cycle routes to help you make the most of your stay. 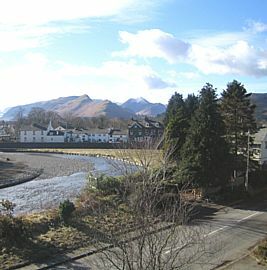 Hazelmere is situated in a quiet location on the western edge of Keswick overlooking the River Greta, an easy, level stroll to the Market Square. Further, the shores of Derwentwater and the local fells are accessible on foot. We are also a convenient stop for the popular C2C cycle route and we have cycle storage and a clothes drying room - Whilst we hope that the sun shines during your visit, being realistic, our mountain climate tends to be damp quite frequently so if you get very wet we can easily get your boots and walking gear dry in our boiler room. 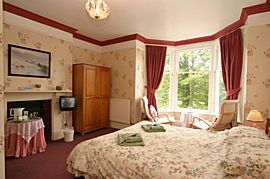 We have 5 double and one single ensuite rooms, one double room can be used as a twin room or as a family room (children over 8 years welcome) and can accommodate up to 4 people. 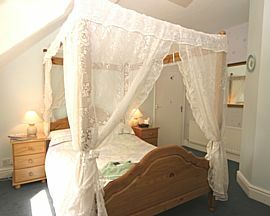 All rooms have lovely mountain views and are spotlessly clean, warm and comfortable. 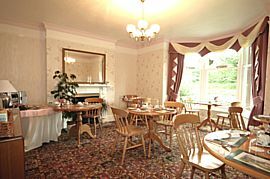 Each room is well furnished with comfortable beds and all rooms have a colour TV, radio/alarm, hair dryer and tea/coffee making facilities. Mountain views from all rooms. Pet Facilities: Pets are allowed. Certain rooms are available where dogs are welcome - well behaved dogs allowed. Dogs should have their own bedding, should not be allowed on the furniture and must never be left in the room unattended. Special Diets Provision: Special diets are catered for. Vegetarian, Vegan. Talk to us about anything else. Smoking Facilities: Smoking is not allowed. Totally Non-Smoking B&B Accommodation. (M6 junction 40) - Take the A66 signed for Keswick. Ignore the first turn into Keswick town (17 miles from M6). Remain on the A66 for a further 1.5 miles to Crosthwaite Roundabout. Take the first exit from the roundabout, Hazelmere is 300 yards on the right. Payments can be made by cheque (with banker's card), all major credit cards or cash. ACCESS: We are normally around after 4.30pm to enable you to check in on the day of your arrival. If you wish to arrive earlier than this please telephone to make alternative arrangements. DEPARTURE: Please vacate your room and the car park by 10am on the morning of departure in order that we may prepare for new arrivals.